Would you let a robot secure your financial future? The financial services industry is facing massive changes in the years to come, and new technology is creating new possibilities every step of the way. Smartphones are changing the way we view payments and everyday banking, blockchain technology could revolutionize payment processing and marketplace lending and crowdfunding could redefine capital access for SMEs. Artificial intelligence is another area that could become a central component in the future of financial services. While there is a lot of buzz surrounding AI, machine learning, cognitive computing and evolutionary algorithms, the use of algorithms is nothing new for the financial industry. Algorithmic trading has already made a huge impact on the stock markets, and credit and risk scoring algorithms has been at the core of banking for decades. As algorithms are becoming more sophisticated, the potential applications are shifting from statistical analysis of historical data to a wide variety of potential applications. The combination of data processing and natural language processing opens up new possibilities, and enables machines to see patterns in unstructured data, thus enabling banks to detect and prevent fraud and money laundering at an earlier stage. The daily operation of today’s banks are composed of a set of automated processes with predefined conditions and rigid instructions, where bank tellers could in the utmost consequence be viewed as humans doing a robots job. For this machinery to stay compliant to an ever-increasing stack of governmental regulations case-workers and analysts are performing time-consuming and repetitive reporting processes, which also could benefit from the introduction of intelligent algorithms. The goal should be to not only automating the most mundane tasks, but allowing advanced algorithms to perform complex analysis and reporting. Many of these tasks are better suited for machines than humans anyway. 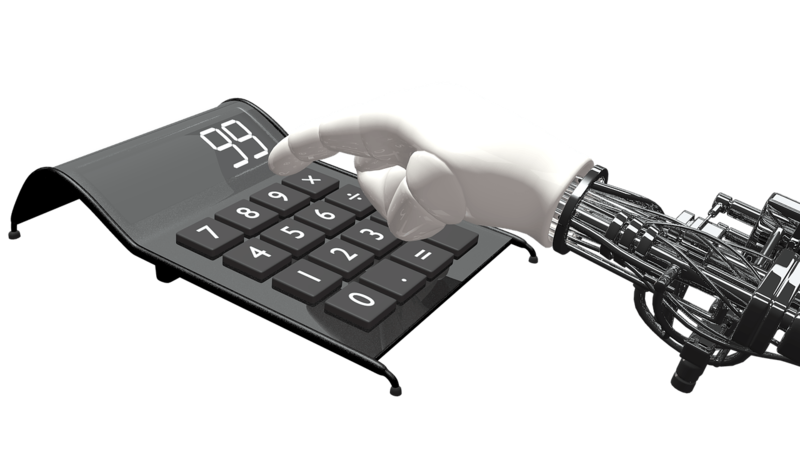 Lastly it is predicted that personal financial advisors will be replaced by robots in a not so distant future. This is where artificial intelligence will have the most visible impact on banking, and in this scenario, the future is now! Regulatory compliance is challenging the business model of traditional financial advisors and wealth managers. Profitability is challenged by regulations like Retail Distribution Review (RDR), and the pressure on existing business models and need for automation will increase with the introduction of MiFID II. One of the effects is what Deloitte refers to as an “advisory gap”, where only the wealthiest customers are profitable and eligible for traditional financial advice. This makes both the retail market and mass affluent segment up for grabs to whoever manages to offer user-friendly platforms combined with automated financial advice. Enter the robo-advisor industry, which is expected to reach $2.2 trillion in assets under management by 2020, with a compound annual growth rate of 68%. The main driver behind this growth is considered to be the cost benefits of automating financial advice. There are several pros and cons when choosing between a robot and a human advisor, and some claim that robo-advisors are primarily suited for cost efficient processing of customers betting on low-cost index funds and ETFs. This may be true from a short-term perspective, but I believe that the use of artificial intelligence in financial services should not be underestimated and viewed purely as a cost-saving measure. The evolution in artificial intelligence is accelerating, and it could soon be difficult to distinguish between a human and robot advisor. For a first-hand experience, I recommend trying out this Turing-test for investors.